It's about a servant girl named Tess in 1912, who wants to escape from the house where she works, and most particularly the lecherous young lord of the manor. But that's not her biggest problem. While on a voyage to America, where she plans to escape and start a new life, she meets Alec, who's ruggedly handsome, fabulously wealthy, intelligent and yet so clearly troubled that she'd rather not fall for him, but she does. That also is not her biggest problem. Alec, it turns out, is a werewolf ... one cursed to change every night, unless and until he surrenders his independence and joins the Brotherhood, a pack of violently misogynistic werewolves who have been tracking him for months. You'd think that would be their biggest problem, wouldn't you? But no. Their biggest problem -- though they don't know it yet -- is that they're aboard the RMS Titanic. Tessa was an extremely likable main character, very practical and not over dramatic about anything. There's nothing worse than the main character going all "Help me, I'm a weak and defenseless damsel in distress!" Tessa didn't do that. She sucked it up and took care of herself. Of course, she's no match for a man three times her size trying to kill her, so intervention from Alec was needed in those times. The fact that the story took place on the Titanic only adds to the thrill of it. Anyone who's ever seen the movie Titanic knows that, however strong the love is, and however much you want everything to be all right, it won't be. At least, not completely. There will be loss, and pain; it's inevitable. And the anticipation for that builds throughout the novel. When it finally came, I was literally flipping the pages, holding my breath and hoping with ever fiber in my being that thing ended better for Alec and Tessa than they did for Rose and Jack. 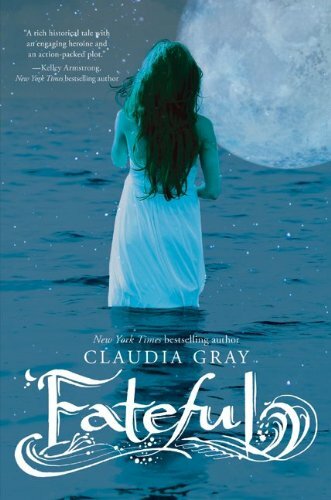 Claudia Gray's writing style is much different here than in her Evernight series, since it's a historical novel it obviously requires a different voice and tone. But Claudia's fluid and personal touch remains the same. Her characterization is also just as amazing. Every single character, even the smaller sides that we don't see that often, added something vital to the story. And the romance! Oh, the romance was so sweet. It's amazing, because it doesn't seem like only a few days have passed throughout the novel, because so much happens between and to Alec and Tessa that they bond very quickly. It doesn't feel rushed at all, simply inevitable. The only thing I wasn't too keen on was the magic behind the werewolves. It's your typical werewolf lore-- silver burns them, they must change with the full moon, and the weaker ones must change every night from sundown to sunrise. But there is some more complicated magic that is explained in the story concerning the initiation into Brotherhood, and the power of the werwolves to change at will. I won't go into specific detail about how the magic works, but I thought it was weak. That's really the only thing I didn't like. 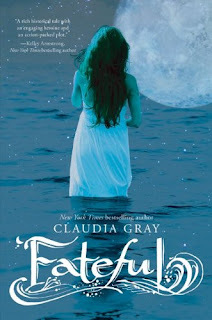 I really loved Fateful, and I most definitely recommend it to fans of both a good historical and/or paranormal romances. To any Titanic buffs, this is a must read! I give this novel a solid 5 out of 5 stars.